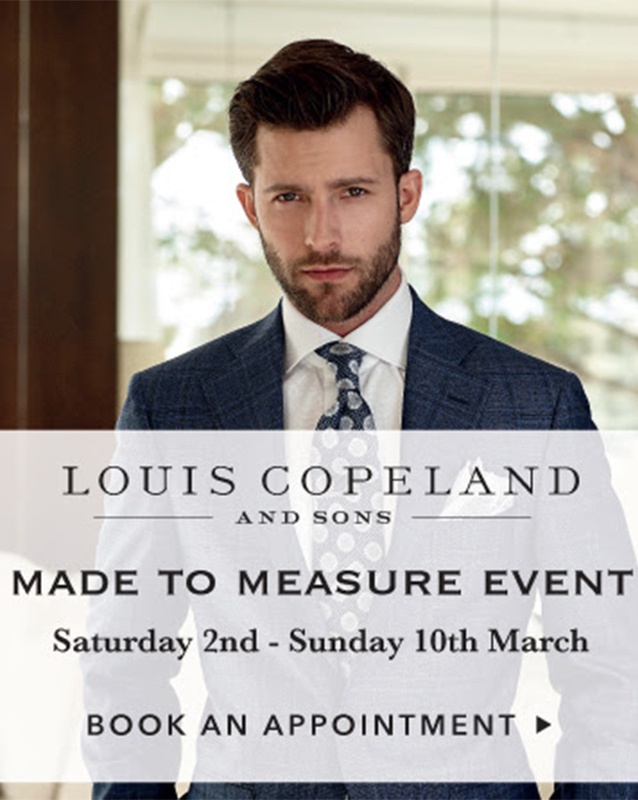 Louis Copeland & Sons - The Made to Measure Event - Have You Booked Your Appointment? The Louis Copeland Made to Measure Experience is an exclusive service that allows you to create a suit, which is truly unique to you. The Made to Measure Event takes place from Saturday 2nd March to Sunday 10th March in all of the stores.